This pallet buy consists of the 2ft.x 4ft. White Lens Lay In LED Troffer from Lithonia Lighting represent the best quality general purpose LED Lighting available in the industry. It is the energy-efficient, virtually maintenance-free alternative to conventional recessed fluorescent fixtures in grid commercial applications like offices, retail spaces and schools. If offers superior light output, improved visual appearance and it is fully dimmable with 0-10 Volt dimmers. The 7 inch dimmable square LED disk light features a white finish with a PC lens. It is ENERGY STAR listed for efficiency and certified for wet locations. It is perfect for hallways, closets, storage rooms, showers and many applications. This basic , non dimming ,dry location strip light mounts invidually or in continous rows to the ceiling or wall, both horizontially or vertically. Diffused acrylic lens provides a single smooth line of light shaped to resemble a fluorescent tube. Quick and simple to install with the snap lock tool-less channel cover. 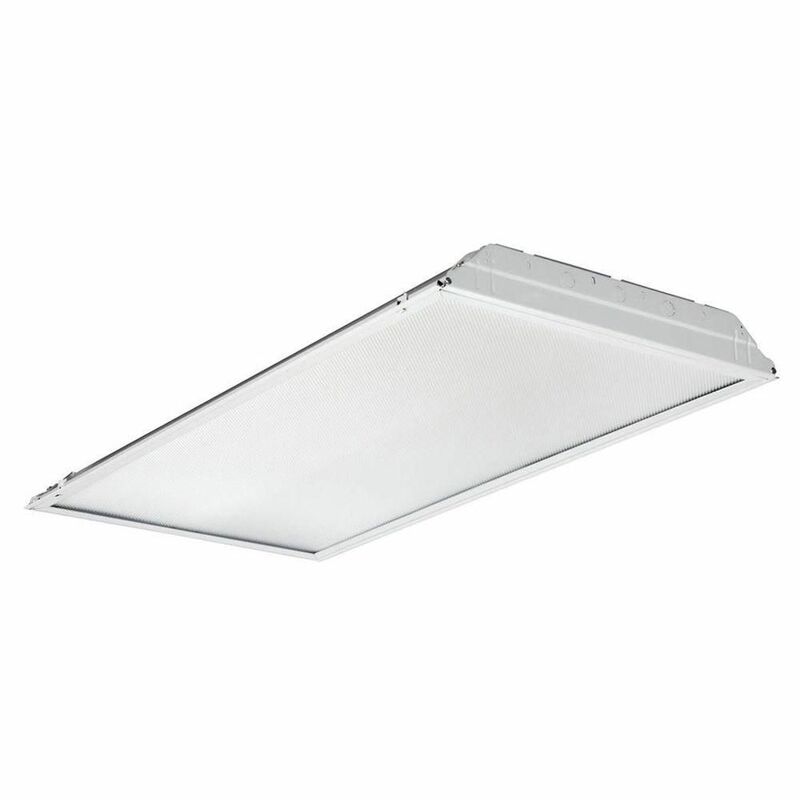 Ideal choice for commercial task lighting ,restrooms, under/over cabinet ,storage closets and displays. 2 Feet X 4 Feet White Prismatic Lens Lay- In LED Troffer ( 28-Pallet ) This pallet buy consists of the 2ft.x 4ft. White Lens Lay In LED Troffer from Lithonia Lighting represent the best quality general purpose LED Lighting available in the industry. It is the energy-efficient, virtually maintenance-free alternative to conventional recessed fluorescent fixtures in grid commercial applications like offices, retail spaces and schools. If offers superior light output, improved visual appearance and it is fully dimmable with 0-10 Volt dimmers. 2 Feet X 4 Feet White Prismatic Lens Lay- In LED Troffer ( 28-Pallet ) is rated 4.8 out of 5 by 10.